Driveway: What can it add to your home? Deciding whether or not to invest in a driveway can prove to be a lengthy decision. Sometimes, home-owners feel investing in a driveway is simply a waste of money. Many people do not want to spend a money on an area which will serve their car. So why is that so many home-owners choose to invest? For many, investing in a driveway is an easy way to increase the value of the property whilst adding visual appeal to the home. A driveway is usually the first thing someone will see when looking at a property. When selling a house, if the driveway is of a poor standard, viewers may assume that the house is of the same standard. Even when not selling, many home-owners choose to invest in an attractive driveway to make their home more appealing. With a wide variety of paving products, (all of which are available in different colours, sizes and textures) it is easier than ever to ensure your home is the most attractive. 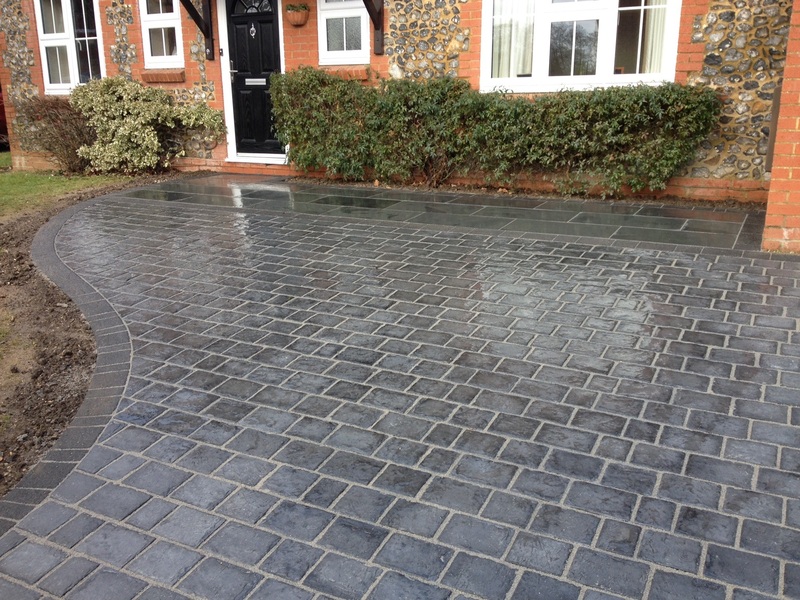 Home-owners also choose to invest in a driveway to benefit from the practicalities a professional driveway may offer. Most good landscaping companies will have a ‘creative genius’ in their team. They will work hard to design and create a driveway which will make the most out of the area available and add more parking space for your vehicles. Many people decide to invest in a driveway before selling their home to increase the value of their property. At a time where people’s lives are becoming busier and busier, people may be put off buying a property that is not completely ready to move into and a new well laid driveway will add curb appeal! Typically a driveway will add 5-10% increase in value to a property if it makes the home more attractive. For home-owners who are time poor, a low maintenance driveway is the answer they’ve been looking for. Thanks to new products, certain driveway systems do not need the maintenance that others may need. 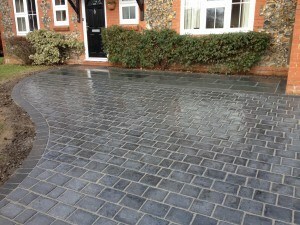 Decorative stone driveways are one option as is block paving which only needs maintaining through jet washing. Your next step to creating a dream driveway! Decided the investment is worth it? Great! But what should you do next? Gather quotes from different landscaping companies and check out their portfolio. Good landscaping companies should offer pictures and testimonials of work they’ve completed before, will happily give you addresses of existing driveways they have installed. Check the company’s credentials; do they install to British standards? Are they part of any accredited registers such as APL, BALI, Trustmark or Marshalls? Do they provide a written guarantee for the work completed? Do they have full insurances? Be wary of companies who only have a mobile number and are not accredited in anyway. Also if they will only give a verbal quote or will not share information on prior projects/customers. Look at the company’s skills, qualifications and experience before making a decision. Be aware of the 2008 Water Surface Legislation: This legislation enforced in 2008 states that driveways must have adequate drainage if there is any possibility water is able to run onto public paths or highways. Many approved landscaping companies factor in this cost and advise on drainage. However, some don’t and ignore the legislation altogether. This means the company is able to quote a lower cost than others, with drainage significantly increasing the price of a project. However, you are responsible for breaking the law if you have a driveway installed that doesn’t comply. Always check the quote you receive includes a drainage option (if required*). Be careful when choosing your landscaping company. Check they approved by companies such as BALI, The APL, and Marshalls to ensure you’re not using a ‘rogue’ company. Choose the right products. When laid professionally, driveway paving should stand the test of time. Pick products you’ll want to see outside your house for years to come, not based on price. You can also look at our driveways page by clicking here. http://www.landscaper.org.uk/find-your-landscaper – For a list of APL approved landscapers in your area. http://www.trustmark.org.uk/ – To find a list of government endorsed tradesmen in your area. https://www.gov.uk/government/uploads/system/uploads/attachment_data/file/7728/pavingfrontgardens.pdf – Government guidance on the surface water legislation act. 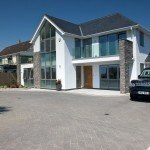 http://www.planningportal.gov.uk/permission/commonprojects/pavingfrontgarden/ – Information on planning permission for front gardens/driveways. *Sometimes (depending on your property) drainage may not be needed. You should contact your local authority planning department to check.